You may have heard “biologic medications,” or “biologics,” being described as one of the newest and most advanced treatments for inflammatory diseases like psoriasis and psoriatic arthritis. But have you ever asked yourself, what exactly are biologics? How do they work and how are they different from other medications? Today we are going to take some of the mystery out of these revolutionary medications. Biologics are a class of medication that is produced from actual living cells cultured in a laboratory. These protein-based medications are genetically engineered to target specific parts of the immune system, effectively altering the immune response that creates inflammation. Biologics are administered via injection in the leg, arm or abdomen or may be given intravenously. Some can even be injected by the patient or family member at home. Intravenous infusions must be administered in a doctor’s office. New biologics are being manufactured and FDA approved on a seemingly regular basis. A new biologic, tildrakizumab-asmn (Ilumya), just became FDA-approved a few weeks ago on March 21st, 2018. The National Psoriasis Foundation keeps the public up to date on the latest advancements in the treatment of psoriasis by developing fact sheets for each of the FDA-approved biologic medications. How can Biologics help people with psoriasis? In the case of psoriasis and psoriatic arthritis, biologics interrupt the immune system “malfunction” that causes an overproduction of skin cells and related inflammation and joint damage. The biologics used to treat psoriatic disease block the action of the T cell immune cell or block certain immune system proteins, such as tumor necrosis factor-alpha (TNF-alpha), interleukin 17-A, or interleukins 12 and 23. Biologic therapy won’t cure psoriasis or psoriatic arthritis, but it may help relieve symptoms and slow the progression of the disease. For many people who don’t respond well to other psoriasis medications, biologics can make a big difference in their quality of life. Even if you have not tried other treatments, if you have moderate-to-severe psoriasis (especially if it is accompanied by joint pain) your dermatologist may recommend you try a biologic therapy first. A report by Consumer Reports looked at the effectiveness of certain biologics on the symptoms of psoriasis and psoriatic arthritis. In nearly all of the studies they evaluated, patients who received a biologic experienced “substantial improvement– a 75 percent reduction in the size and severity of their plaques after taking a biologic for 12 to 16 weeks.” These patients experienced a reduction in the amount of skin surface affected and the thickness of their plaques as well as less itching, redness, and scaling. Consumer Reports also reported that up to 80% of people taking a biologic for psoriatic arthritis experienced positive results, including less joint pain and inflammation, better joint functionality, and improved quality of life. Many people tolerate biologic drugs very well without any serious side effects. However, they are not recommended for people with compromised immune systems. Biologics are also not recommended for pregnant or nursing women unless there is a clear medical need. Common side effects of biologics include respiratory infections, flu-like symptoms, and skin reactions at the injection site. These are generally mild and won’t require you to stop taking the medication. In our practice, we take a comprehensive and individualized approach to treating our patients with psoriasis and psoriatic arthritis. 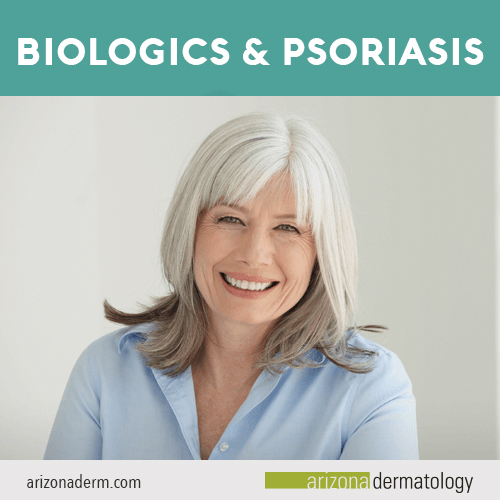 A detailed consultation with one of our providers will help you get a better understanding of your options and allow us to determine whether or not biologics or another form of treatment offered at Arizona Dermatology would be best for your individual needs. 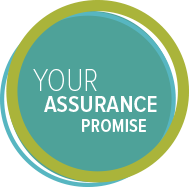 Please feel free to contact our office to schedule an appointment with one of our trusted providers today.